Maha Navami marks the end of Navratri, the nine-day festival of worship of Goddess Durga. As per the mythological stories, Goddess Durga’s battle against demon Mahishasura lasted for nine long days. 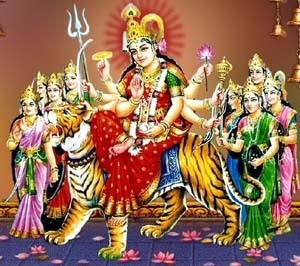 She finally won over the demon on the ninth day which is celebrated as Maha Navami. According to the Hindu calendar, Maha Navami is celebrated on the navam that is ninth day of the Shukla Paksha in the Indian month of Ashwina. On this day, Goddess Durga is worshipped as Saraswati, the Goddess of wisdom and knowledge. 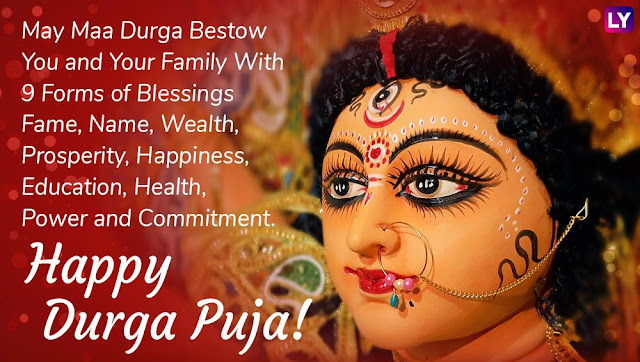 People in south India celebrate Navami as Ayudha Puja where musical instruments, books, equipment of all kinds including automobiles and machinery are decorated and worshipped. 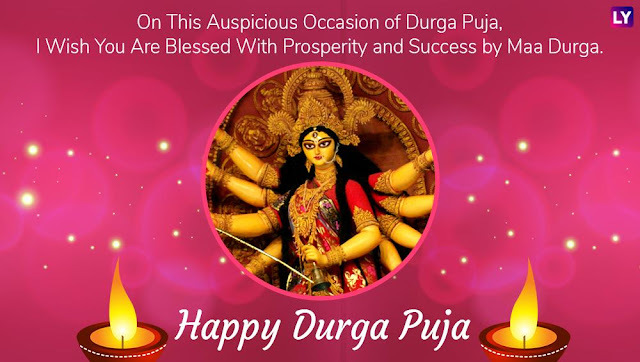 While in the east and north-east India, Navami is celebrated as the third day of Durga Puja called Shodhasopachar puja, where Goddess Durga is worshipped as Mahishasurmardini (the goddess who killed the buffalo demon Mahishasur). 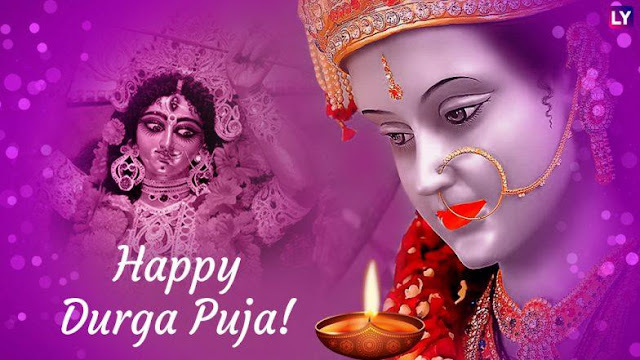 While in north India, Kanjak or Kanya puja is observed on the auspicious day of Navami, where young unmarried girls are honoured and worshipped. 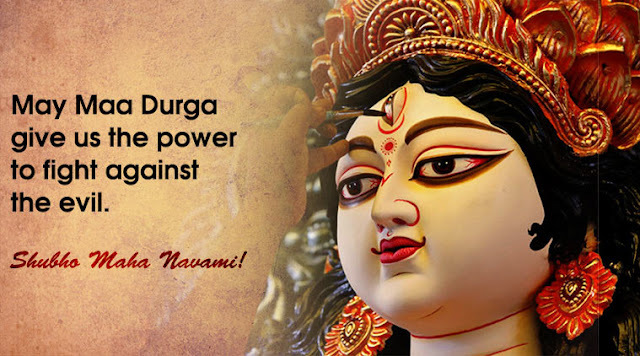 Happy Durga Navami 2018 Wishes Images, Wallpaper, SMS, Photos, Pics, Quotes, Messages, Status: Shubo Maha Navami! 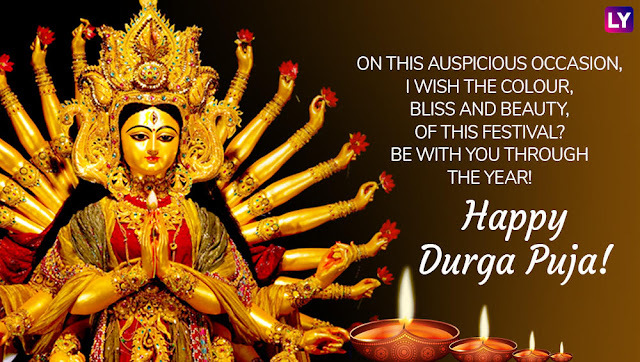 Spread joy and happiness by wishing your loved ones on this auspicious occasion. 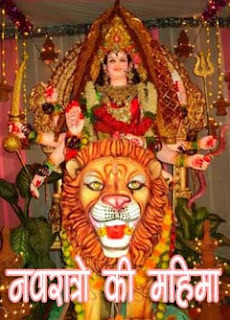 Maha Navami marks the end of evil and the dawn of happiness and new beginnings. 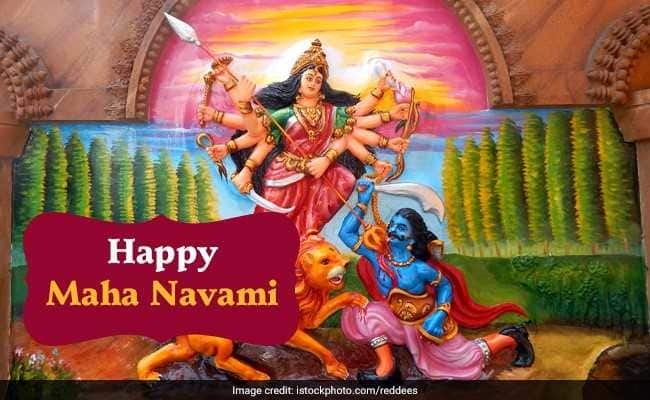 On this auspicious day, have curated wishes and greetings you can send to your friends and family wishing them a Happy Maha Navami. 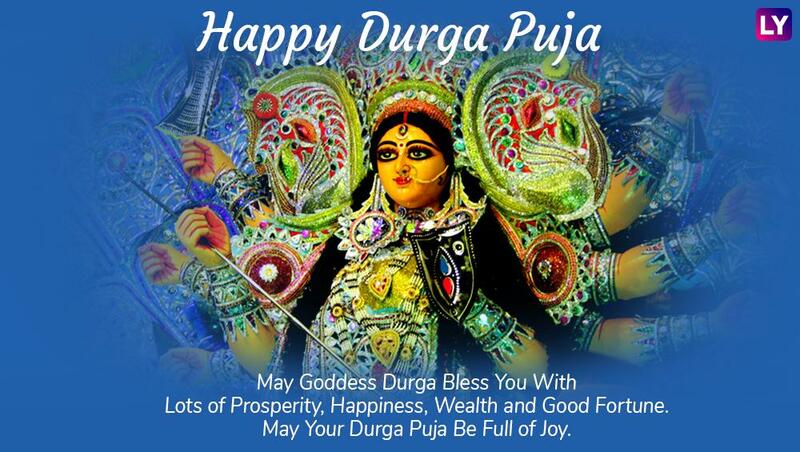 removing the evils within and without on this day of Durga Navami and ever. Have a great Maha Navami! 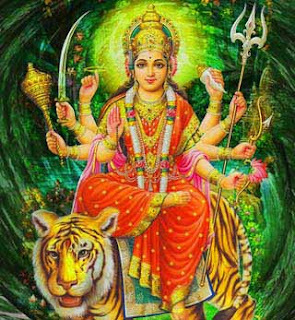 Sending you my choicest greetings this Maha Navami! *From Sasthi to Dashami it’s time to enjoy. May Maa bless you with lots of happiness and joy. 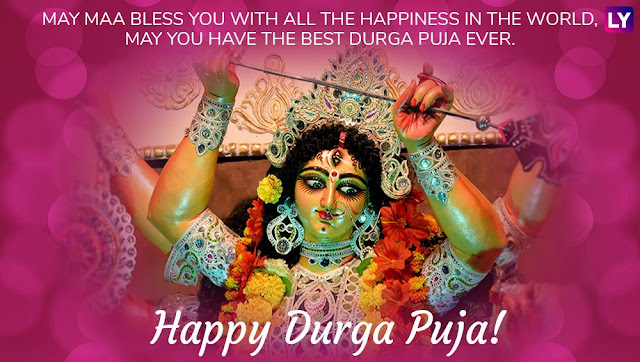 Warm Wishes on Durga Puja! 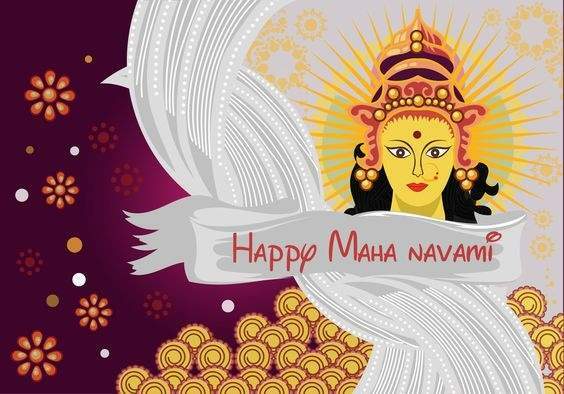 Therefore, I wish you a great Maha Navami! देवी दुर्गा के नौ रूप कौन कौन से है ?